West Covina can be found in Los Angeles County, California, and is home to approximately 106,000 people. Incorporated as a city in 1923, the area started to grow in the late 20th century and is home to major shopping centers, restaurants, retail developments and much more. West Covina is the ideal place to live, if you’re looking for a team of trusted West Covina movers, we can help. We know how important it is to you for your move to go as smoothly as possible, which is why we’re proud to offer our services. Local moving services – whether you live 6 or 60 miles away, our team of professional movers can help you. Piano movers – we have never damaged a piano yet, and we’ll be happy to transport yours while treating it as if it were our own. Office relocation – we don’t just move people, but businesses too, so ask us today how we can help you relocate. Cleaning services – our top quality cleaning services will leave your old home looking as good as new. Moving and packing service – use our moving and packing services that will take the strain off your move. Secure storage service – we also offer secure storage which means if you don’t want to take everything to your new home just yet, you don’t have to. Our movers have all of the necessary equipment such as plastic wraps, hand trucks and anything else we need to ensure your move is a success. Our fleet of trucks of multiple sizes allows us to relocate the largest and the smallest of homes with ease. We’re movers in West Covina, CA that are happy to go the extra mile. We are proud of all the services that we offer, and we ensure that every part of your relocation goes as well as it should. Our team of highly trained moving professionals is here to help you on what could be a very stressful day. Thanks to our many years of experience in the industry, we know how to make this day a lot less stressful for you, ensuring that everything goes according to plan. 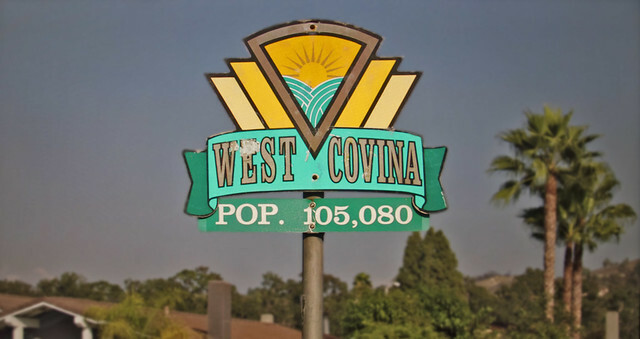 With a population of around 106,000 people, West Covina is thriving, and with a Mediterranean climate, the locals experience summer temperatures of around 73 Fahrenheit, making the city a good place to live if you love the sun. West Covina’s top employers include the Citrus Valley Medical Center-Queen of the Valley Campus, West Covina Unified School District, the City of West Covina, Target, and Walmart. If you’re considering moving to West Covina, you’ll be pleased to know that levels of unemployment have recently fallen. It’s predicted that job growth will continue to increase, promising an even brighter future for the city.